Reward your middle school students with growth mindset activities that have take-home goodies! We have carefully chosen quotes by famous people to inspire your students, and to make teaching the concepts of growth mindset easy and enjoyable. Each growth mindset quote is from a person your students are familiar with so they can immediately "plug in" to a real-life example of a growth mindset. 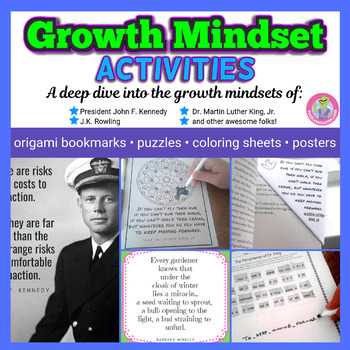 We have developed this set of growth mindset activities with ultimate flexibility - use them as a collaborative activity, bell ringers, daily warm ups, morning work, or for your early finishers. There's loads of diverse activities in this pack. 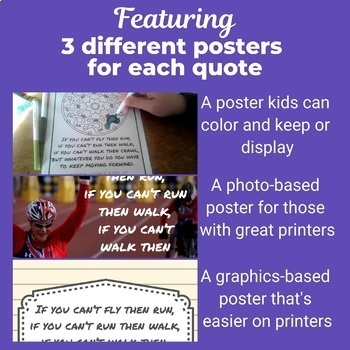 The idea behind this pack of activities is that repetition of these quotes in different forms will help students memorize the quote AND understand the concepts at a deep level -- it's sneaky repetition! 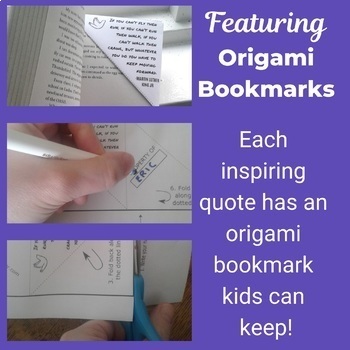 and a prize to take with them: an easy-to-fold origami bookmark (which gives them more exposure to the quote)! 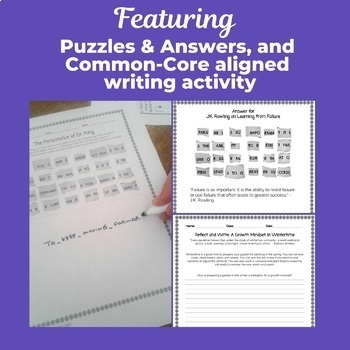 It's flexible and comprehensive: you can split up the activity and even use it for Dr. Martin Luther King, Jr. Day, Presidents' Day, Black History Month and Women's History Month. Bonus: also included are full-color growth mindset quote posters that you can add to bulletin boards.